In this week’s podcast Serenity Cadwell and Chris Breen return to discuss the news of the week. 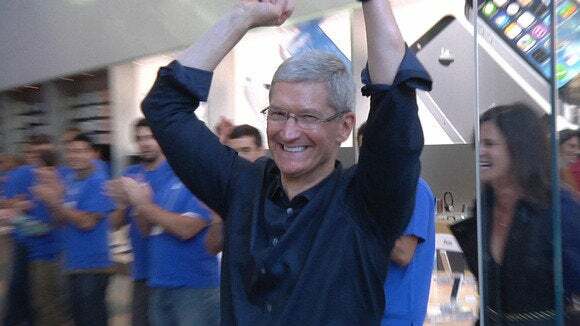 That news includes Tim Cook laying the smack down on oil-industry-funded climate change deniers, Apple TV as hobby no more, CarPlay, and something-something-something-grumble-grumble-grumble-Snow-Leopard-no-longer-supported-harumph. Why wouldn’t you want to keep an eye on Serenity’s Boston Derby Dames. Our friend and colleague Dan Moren has a few things to say about Apple’s next Apple TV. And if you’d like to learn something more about CarPlay, go right to the source. Igloo. An intranet you’ll actually like (and use). Free for up to 10 users. Warby Parker. Creators of boutique-quality, classically crafted eyewear at a revolutionary price point. Choose your five free Home Try On Frames and get free 3-day shipping.